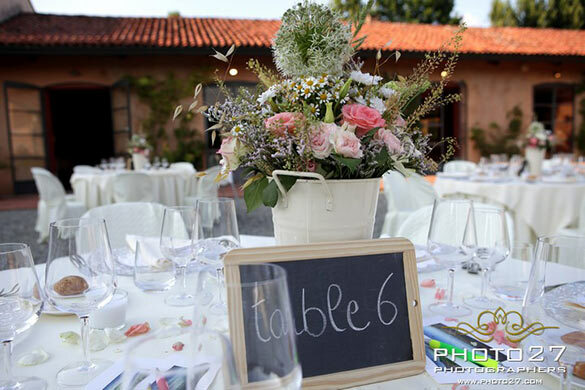 Piemonte Countryside what a great idea for your wedding! This summer was a great one on Piemonte country side. 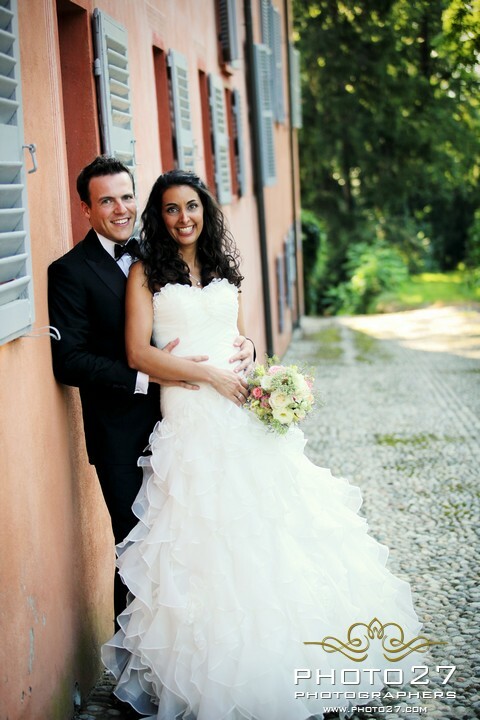 We opened the season with Alina Elena and Marco’s wedding in Langhe. 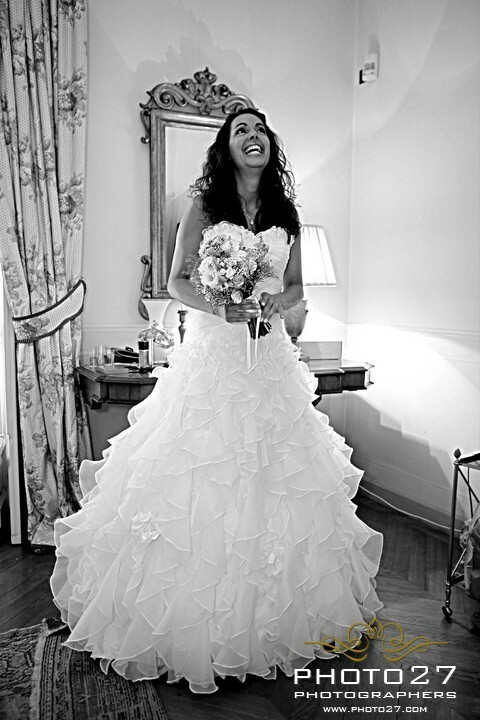 Today we would love to tell you about another country wedding in another area of Piemonte. 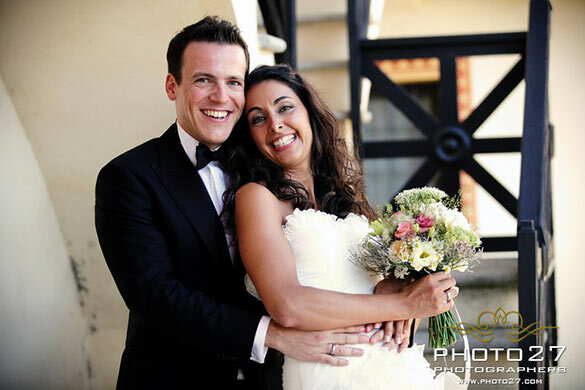 Jennifer and Marc came from Switzerland with their family and friends to celebrate a wonderful country wedding in a beautiful Cascina close to close to Torino. On Northern area of Torino there is a wonderful country area that is far from massive tourism and still natural and relaxed. 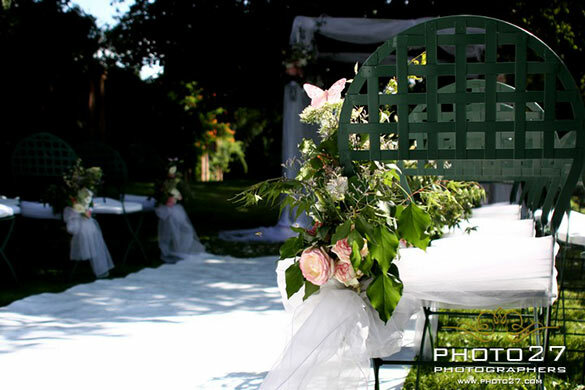 There are wonderful mansions, violas and castles to discover that could host your country wedding. 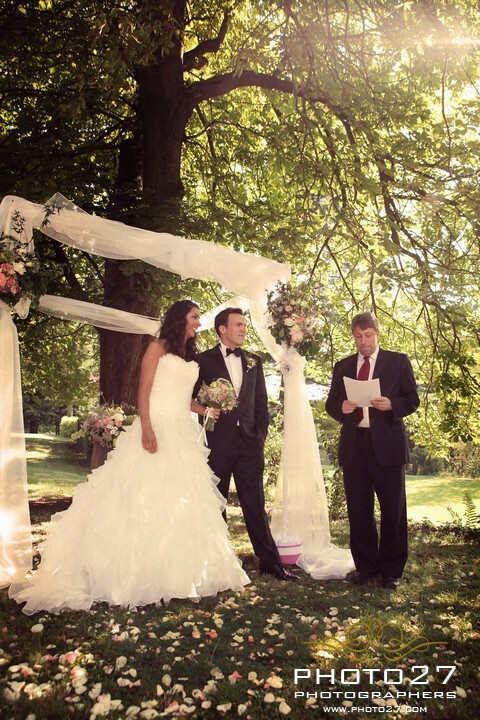 We will come back next month talking about another fairy tale wedding we planned in the area. Jennifer and Marc’s host stayed all in Torino. This gave them the opportunity to discover a lovely and lively city. The couple hosted a lovely welcome aperitif to have the chance to say hi to everybody. On the day of the wedding Jennifer and Marc moved to the mansion they choose for their ceremony and reception to get ready. This charming cascina has also some pretty room and a wide swimming pool that could be ideal for a relaxing staying in the countryside. Jennifer’s family is jewish so she really wanted to add a touch of this tradition creating a lovely marquee for the ceremony. It was conducted in three languages German, English and Jewish. 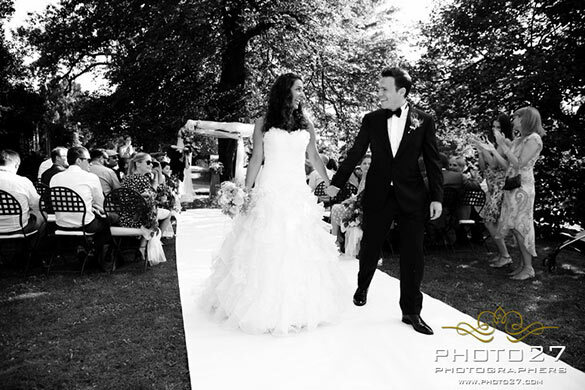 This allowed all guests coming from different part of the world to fully understand each step of the ceremony. 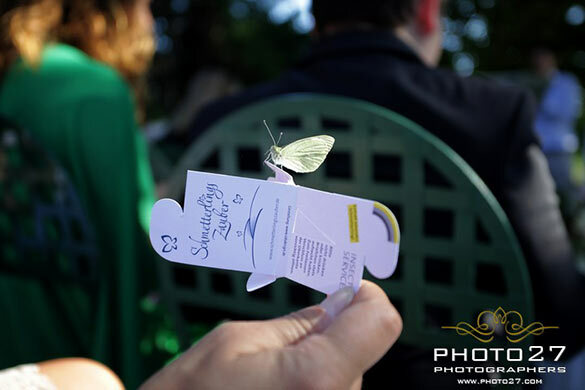 For the ceremony Jennifer wanted a butterfly theme to symbolize natural feeling of a true love. Side of the ceremony decorations made of colorful flowers and butterflies she added something different. She brought from Switzerland some little boxes in which there were real butterflies inside to be released a the moment of the exchange of the vows! It was really emotional! 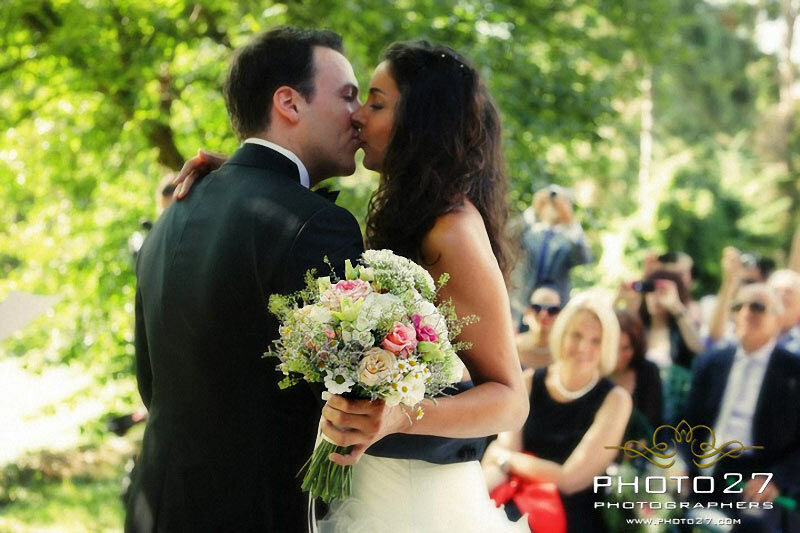 After a moving ceremony the couple took the change to take some pictures in the nature in the boulevard leading to the villa and inside the villa itself. Photo27 Team did surely a great job! 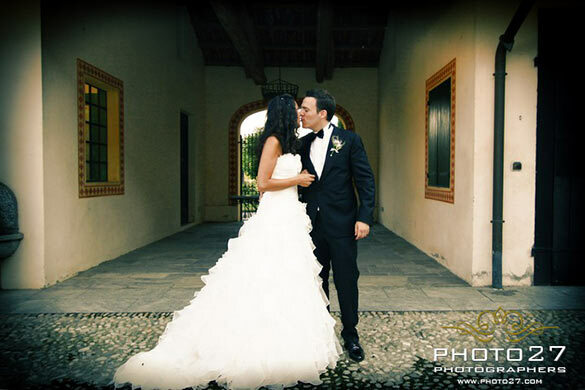 Jennifer and Marc loved this venue! 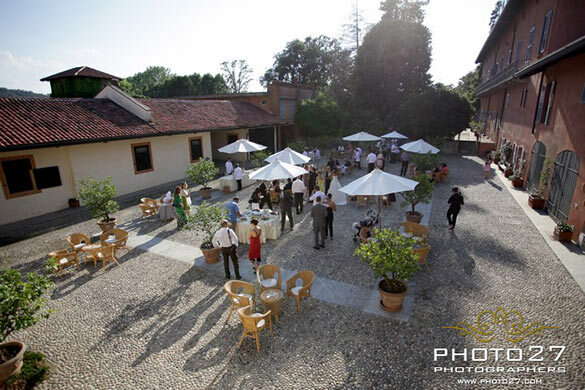 We planned the aperitif In the main courtyard of the villa. A long relaxing moment for all, to taste delicious traditional Piemonte cheeses, wines and finger food. Some music in background an some candid photos. 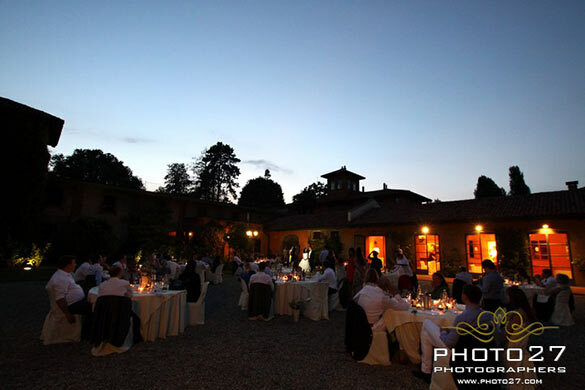 After the aperitif the dinner was served in the other courtyard of the mansion. Decoration Jennifer choose was fully country! 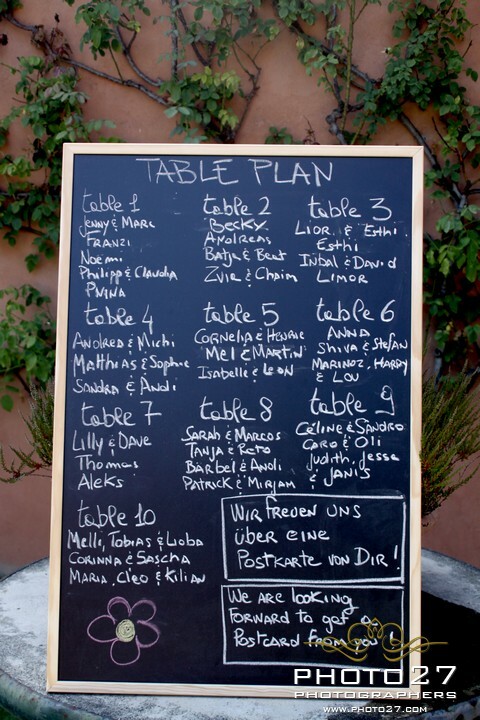 Flowers were very loose an country feeling, we used black boards and chalk writings for the tables names and the table chart and instead of glass or ceramic vases for the flowers…cream tin carafes. 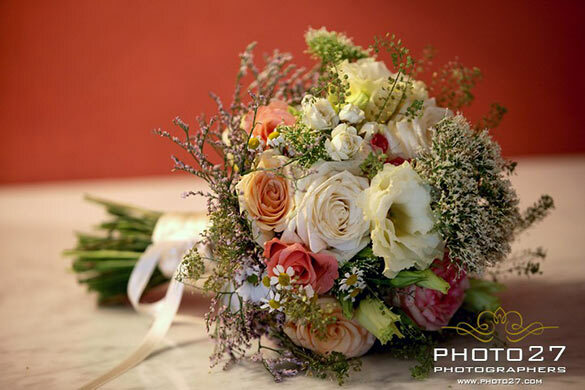 Jennifer bouquet and style fully matches this country style we created together. Delicious dinner was served under the stars outdoor…. a wonderful warm country night! 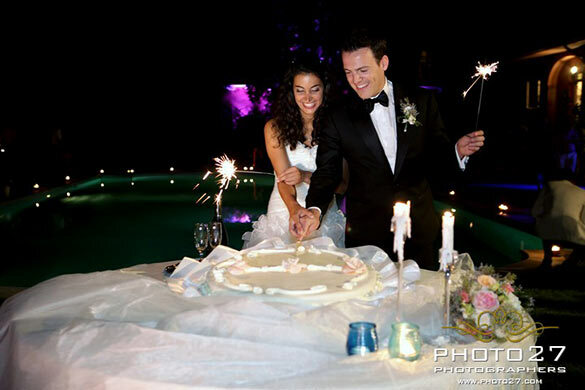 Wedding cake was cut by the swimming pool. 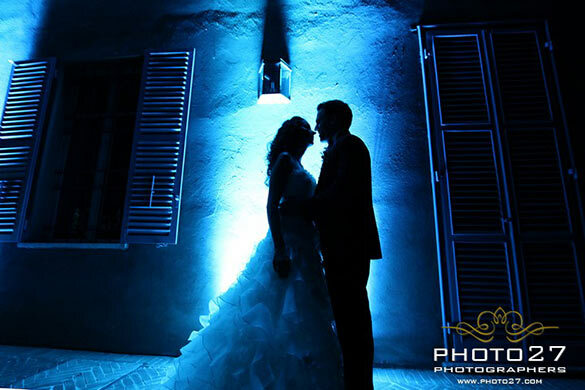 This area was specially lighten up with colored led lights to create a real party atmosphere! 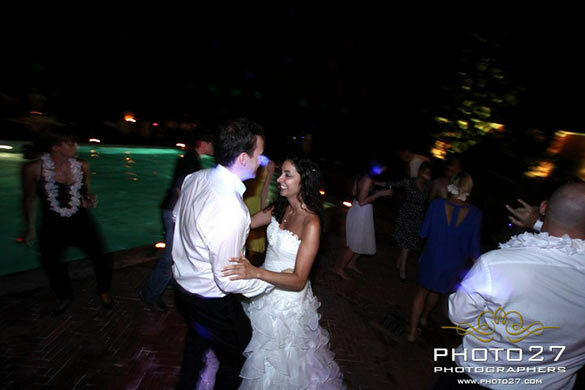 After the cutting of the cake, the party begun with lot of fun, some dives in the swimming pool and a lot of dances! This was surely an unforgettable party, casual, easy, but also romantic, chic, stylish and really country feeling as Jennifer wanted! Thanks to Photo27 Team for the great shots and amazing work! !